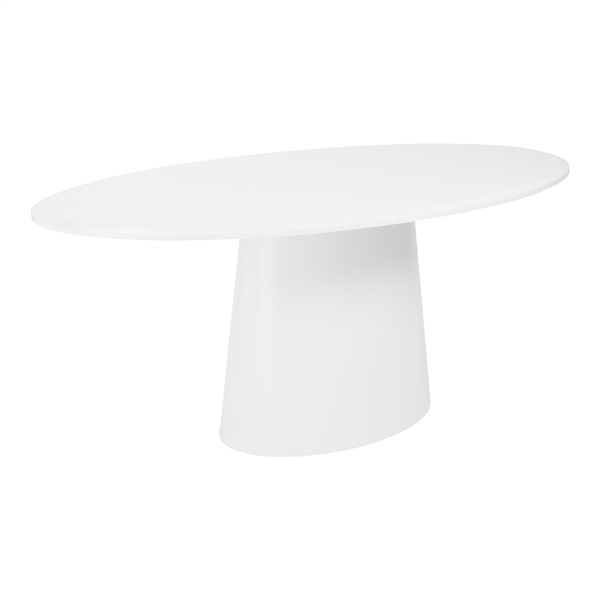 Like a beautiful giant mushroom stands the Deodat Oval Dining Table by Eurostyle. This table is over six feet in diameter, meaning it can comfortably seat up to six guests and a hold a full Thanksgiving dinner. Alternatively, hold your knitting circle here on weekends or convert the dining table into a meeting space as it can accommodate laptops, projectors, and coffee mugs too. The base and top are made of a smooth satin lacquer which is easy-to-clean and durable. This table is sure to stand out in your space, in whatever capacity you choose to use it in.